Ah, the full beard. Such a modest term for something that represents the epitome of manliness. If you want to move beyond stubble and really rock your world – and others – you need to give the full beard a shot. Stubble is great and attractive to the ladies, but a full beard is maleness at its finest. It’s the Holy Grail of facial hair. So, what is it, exactly? Well, you need to let your facial hair grow for four to six weeks without trimming it to truly discover what your full beard is all about. Typically, a full beard covers your cheeks, upper lip, and chin areas, and some extend to some point the neck. The length of a full beard will depend on your preference. How much time it takes may depend on things out of your control, i.e., genetics. In our humble opinion, however, you owe it to yourself to make an honest attempt at growing a full beard. Never mind the itch early in the growing process; you can handle it with a mix of strategy, the right products, and determination. Really, is there anything that exudes confidence quite like a full beard? I mean, c’mon, this manliness and virility all rolled into one incredible facial hair package. It says, “I’m my own man, and I don’t care who knows it.” It harkens back to your caveman past when dinosaurs roamed the earth and every day was a battle for survival. It’s rebelliousness and sophistication and sexual attractiveness and, well, you get the picture. A Beard. It’s what only men can do. 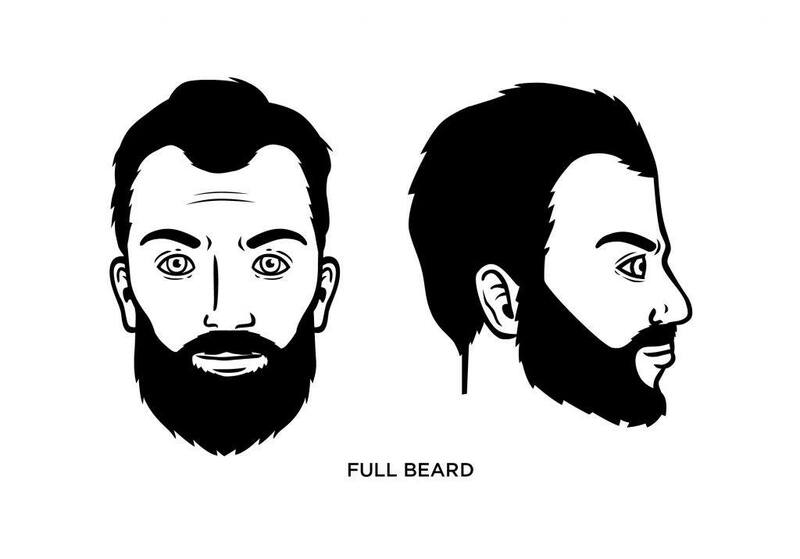 What Face Shape Best Fits the Full Beard? We’re all for everyone trying to grow a full beard no matter what type of facial shape they have. But it’s a great look for diamond, triangle, or inverted triangle face shapes. Back to one of our original points. To truly see if a full beard is for you, let it grow for four to six weeks. Resist the urge to trim it or shape it during this time because you don’t want to cut off more than you intended (especially if you’re new to the beard game). After the four to six weeks are up, then you can make a realistic decision as to whether a full beard is for you. If you decide to keep it – and we hope you do – you can then decide whether you want to trim it, using a high-quality beard trimmer, of course, or to let it go and see where your great bearded journey takes you. Growing stubble is easy. Growing a beard is a commitment. You’ll probably be surprised how thick your beard is after the initial growing period is finished. But you may want it thicker, and this will require other tools, such as beard oil, shampoo, and conditioner. Dedicated grooming also will require a quality beard comb. Unless you’re going for an untamed full beard style, not trimming and maintaining it is, well, not good form. It’s also not uncommon that your new swath of facial hair awesomeness should come in patchy and/or thin. There are a variety of reasons for this, not the least of which is that the cheek area of the face has weaker blood flow than your upper lip and chin. You may also have lower levels of androgens – including testosterone – that help accelerate facial hair growth and can potentially keep your beard from being all that it can be. Even so, all hope is not lost. Why? Because of Minoxidil (more commonly known as Rogaine), for one. Rogaine is most widely-used by men trying to grow hair on the top of their head, but it also been proven to work on facial hair. In some cases, men have even grown a beard from scratch thanks to the powers of Minoxidil. Wow. So many to choose from here. 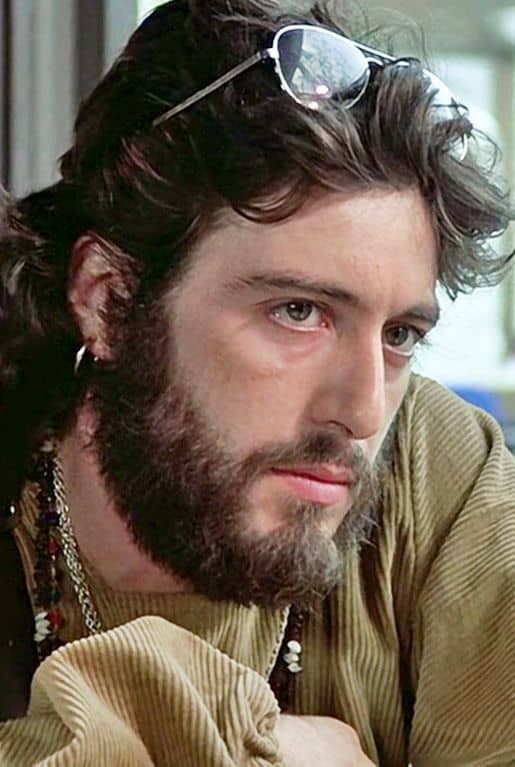 Al Pacino in “Serpico.” Zach Galifianakis in the “Hangover” series. Countless professional athletes. And so on.